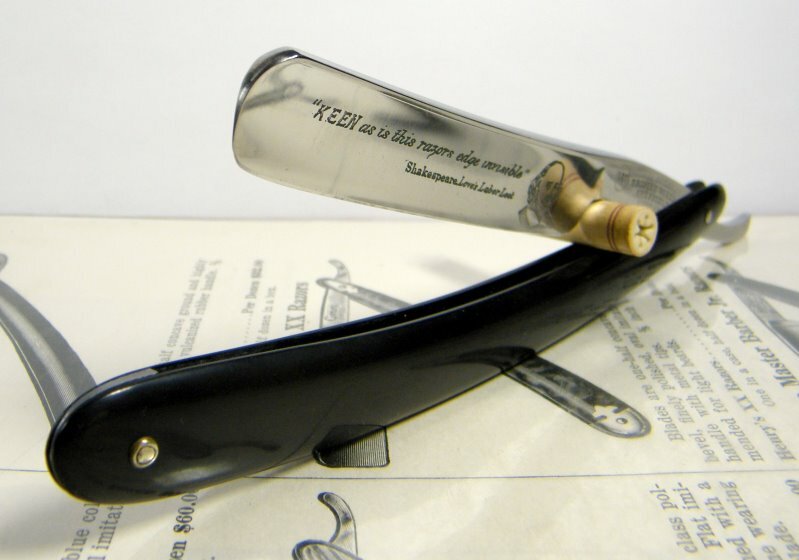 STRAZORS.com - all about classic razors - George Butler & Co., Sheffield. 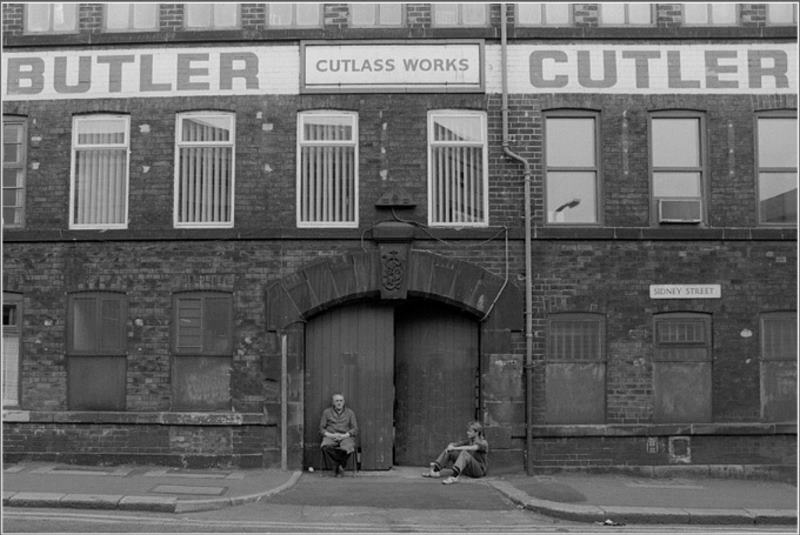 George Butler & Co., Sheffield. William Butler was recorded in the Directories of 1774 and 1787 at Trinity Street, using the "BUTLER" mark (granted in 1768). According to Leader(1876), Butler's was the largest employer in the trade between 1810 and 1814. By then, the business was managed by George Butler and James Butler. 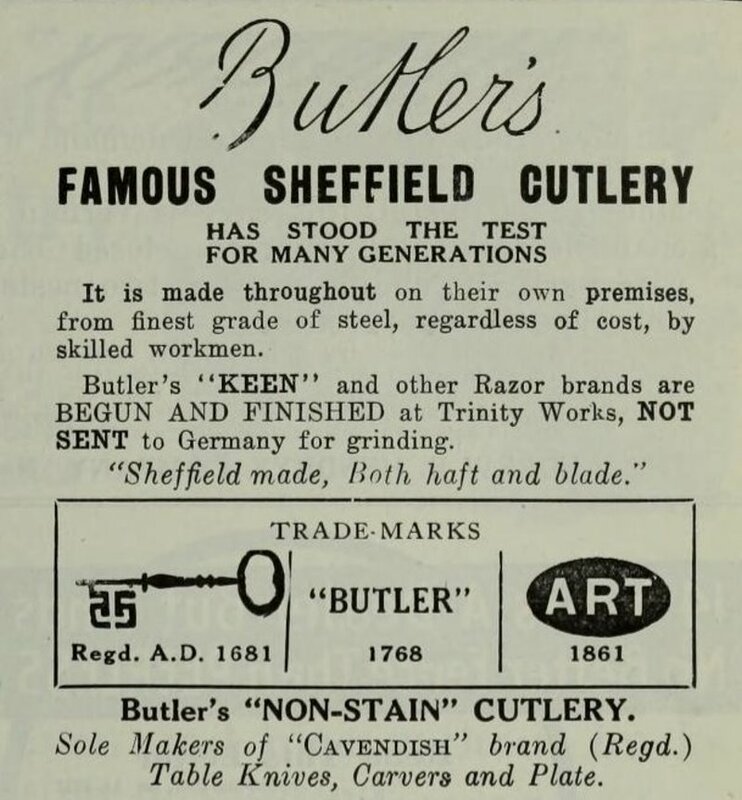 In the 1820s, G.& J. Butler was a dealer in "all kinds of Sheffield hardware". George was the salesman and was described as an expert with the "ribbons", driving tandem through the North of England and elsewhere on the firm's business. He lived at Upperthorpe and died there on 5 May 1833, aged 53. James Butler, who lived at Western Bank, died on 3 March 1843, aged 57. The company name then became George Butler & Co. In the late 1840s, the company was taken over by William Henry Andrew and Albert George Andrew. They were twins of the prosperous Andrew's family of Furnace Hill and Westbar. An 1849 advertisement described their company as a steel converter and refiner, in addition to manufacturing and selling a wide range of knives and tools. The firm displayed its cutlery at the New York Exhibition in 1853. In about 1850, Henry George Rowe - a Durham-born traveller - joined the company as a partner. He and the Andrews' brother patented in 1853 an improved method of fastening handles to table knives and forks. In 1861, the usual workforce was over 50, but the Census of that year noted that only about 14 were currently employed. Nevertheless, in 1864 Butler's moved from Trinity Street to a larger works in Eyre Street - once the location of Corsan, Denton & Burdekin. In 1881, the workforce was about 50 men, though the trade press claimed that this had reached about 400 in 1887 (the Industries of Sheffield: Business Review, 1887). In the 1890s, the firm had a London office at No.60 Holborn Viaduct (near Joseph Rodgers, No.62). The company relied upon the "BUTLER" mark, which by the 1840s was commonly counterfeited. Butler's acquired the "ART" mark in 1861; and then in about 1882 the Key (pic.) mark (registered in 1681) from Steer & Webster. Butler's also registered silver marks in 1872 and 1894. 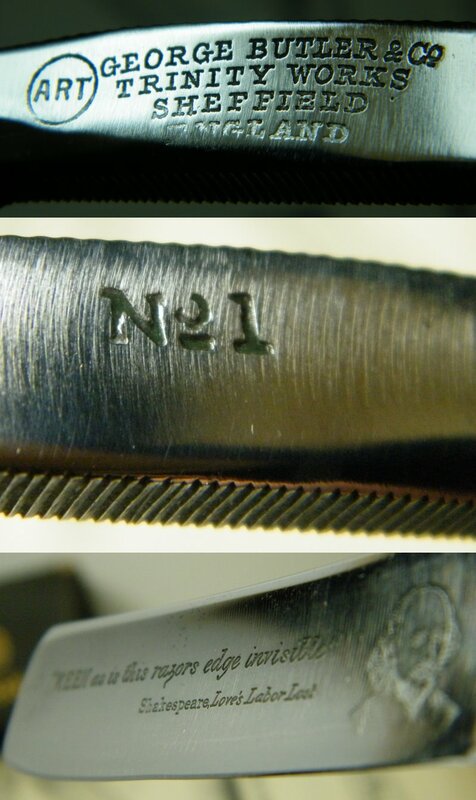 The trademark “Special Cavendish Brand” (granted 1885) was used on Butler’s silver-plated cutlery. In 1870, Robert Belfitt (1842-1930) became the chairman. He had been born at Whittington, in Derbyshire, and had been apprenticed to an iron founder. H.G. Rowe had left the company in about 1870. William Henry Andrew died on 9 October 1894, aged 74. His brother, Albert George Andrew, died on 16 February 1908, aged 87. Belfitt remained in post for sixty years. He was Master Cutler in 1891. He maintained Butler's reputation for its hand-forged, hand-ground pocket and table cutlery both at home and in its major overseas markets in Australia and India. 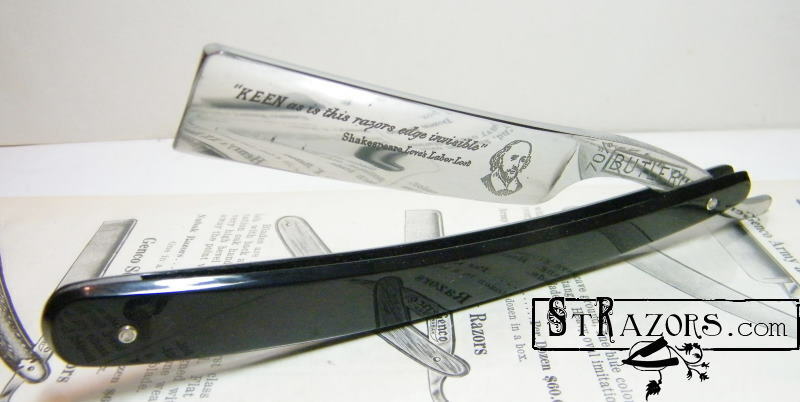 Butler's "Keen" razor was described in the press as a "distinctly special article": it was hollow-ground by the firm's own workmen, with the trade name derived from Shakespeare's Love's Labour's Lost: "Keen as is the razor's edge invisible" - a line the firm acid-etched on some of their "Keen" razors, alongside Shakespeare's head. Sets of cutlery were produced for special occasions, including presentations sets for the Royal Family. 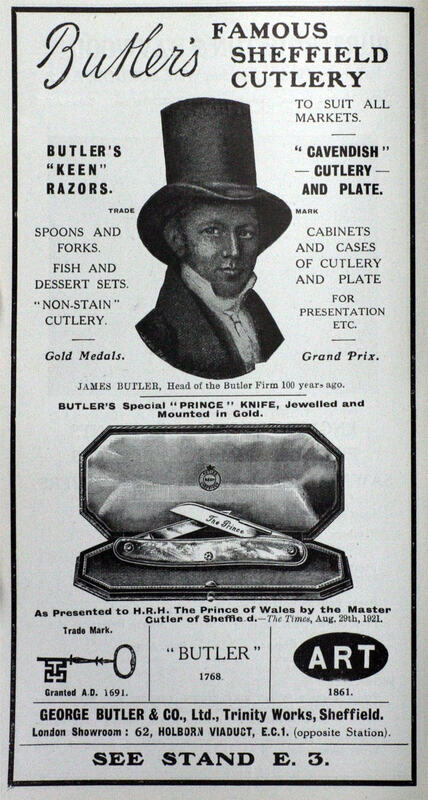 Butler's won prize medals at several exhibitions. Butler's had become a limited company by 1900. In the 20th century, Butler's took over the trademark of Francis Newton. Belfitt died on 16 June 1930. 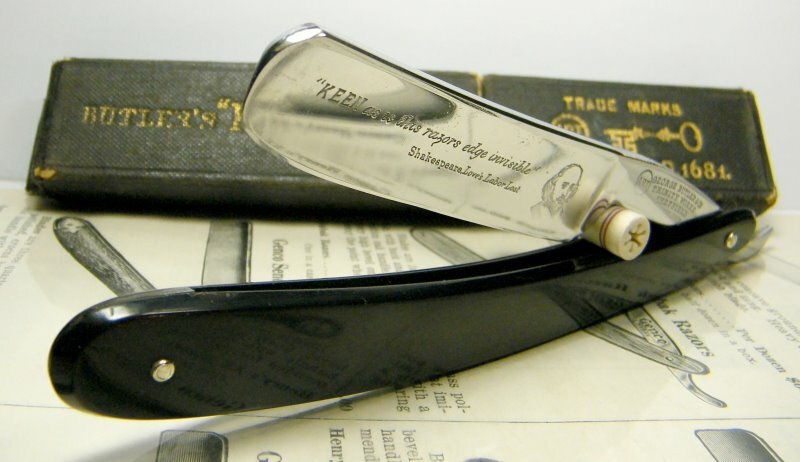 Butler's was still producing a wide range of hand-forged pocket-knives and luxury table-knives. However, after the WWII it had difficulty in adapting to the mass-market and was eventually liquidated in 1952. The last owner of the Butler brand is Arthur Price, who bought it in 1993. Directory Of Sheffield Cutlery Manufacturers. Page from The Merchant and Manufacturer, June 13, 1883.